We often hear the phrase, “Don’t judge me,” especially when the person saying it is doing something that they know they shouldn’t. Some use the biblical, “Judge not that ye be not judged” (Matt 7:1), as justification. Jesus Christ did not mean that we should not make any judgments because he also said, “…judge righteous judgment” (John 7:24). It is, therefore, important that we learn how to judge righteously or appropriately. When I die, I am confident that I will still be judged even if I never judged anyone. Will Rogers said, “Good judgment comes from experience, and a lot of that comes from bad judgment.” Certainly we learn from our experience but it would be wonderful if we could avoid bad experiences. Since we all make hundreds of judgments every day; including, what will I do with my free time and, how much will I spend on a hamburger; these are some guidelines to consider. Associations – We must all determine if those we associate are potentially damaging to us. For example – Will I go to lunch with the group at work that likes to tell dirty jokes? Will I allow my children to go to the home of people I do not know very well? We can work with and be around others that do not share our standards but we have the right and obligation to protect ourselves as much as possible from those associations that are harmful. We also judge who we will date and marry. Philosophies – Evil does exist in the world and wickedness is glorified in the media. We use our judgement to keep those philosophies from damaging our lives. Life Paths – Just because it looks cool to spend your life gratifying your every urge doesn’t mean that it is a good choice. If others choose a certain lifestyle or if there is something that “everyone” does, you don’t have to follow suit. Use your judgement to determine if that is the correct path for you. Habits – Some habits hurt others. Some lead to addictions. Judge carefully because your choice could control your future. Appearance – Everyone knows that you can’t judge a book by its cover but following that adage blindly could lead you astray. The clothes we wear and the things we do to our bodies are our personal billboard as to what we are. Sometimes our interpretation is wrong but there is nothing wrong with being cautious around a person who is advertising something we don’t buy. Abilities – If you have ever hired a plumber or interviewed a job applicant, you know that you must be able to judge the abilities of someone to do a certain job. Snap Judgements – Except in emergency situations, snap judgements should be avoided. Don’t judge by appearances or initial impressions. Do some research and evaluation, otherwise you can make some bad decisions and lose out on some cherished friendships. Potential – We are incapable of determining the potential of another person. We are all children of God and Christ told us to perfect like he is. We can never say that another person will never be a better person than they are right now. There is always hope. Ego Driven – Any judgement that has the sole purpose of fueling someone’s arrogance will be tainted, at best. Those who live to judge others to make themselves look better will lead a lonely and unfulfilled existence. Judging Oneself Too Harshly – We all have problems and character flaws. That is because we are human. God knows us and loves us. He does not want to condemn us. If we are on the path to be more like him and trying to do his will, he will accept us and help us. 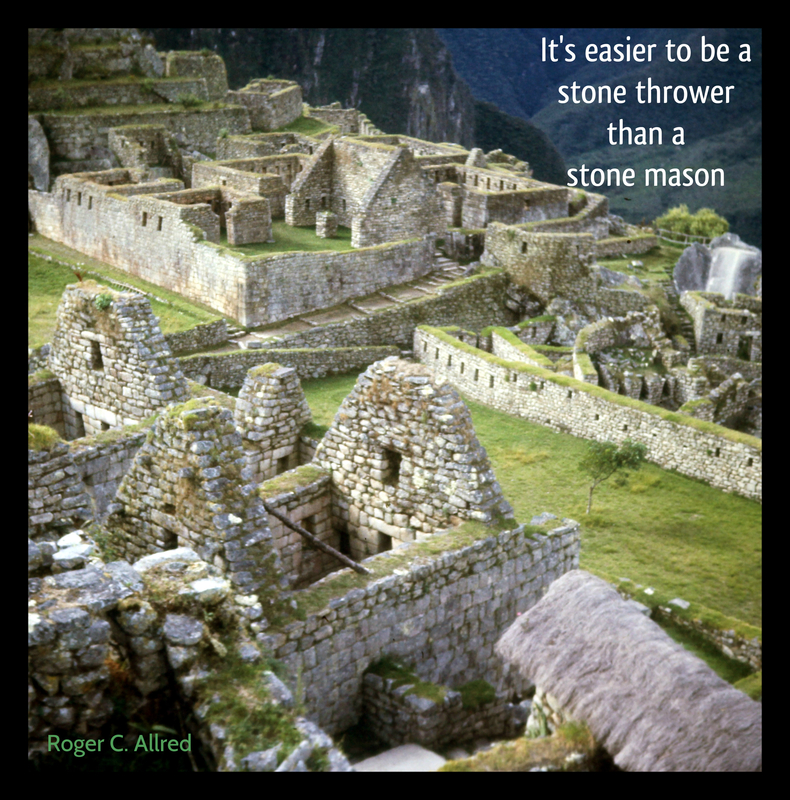 This entry was posted in Family Leadership on November 17, 2018 by rogerallred.